Throwback Thursday | FISHING FURY - A Fishing Blog with Attitude! It’s that day of the week where we go back through our archives and dust off some old gems. This is more than just housekeeping. We’re adding new content and images you’ve never seen before! 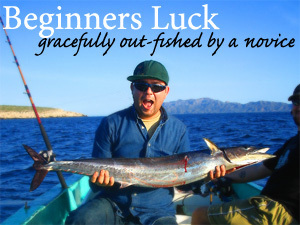 This week we have two fantastic fishing reports from 2005 when Clive and I were both living and fishing in La Paz, Mexico. Stay tuned for more throwback updates in the coming weeks!